With the amazing Oktoberfest in full swing in Munich, we were thinking how we can get a taste of the good stuff back in the UK. So last week, we sent Rachael to try out a Yorkshire brewery tour. 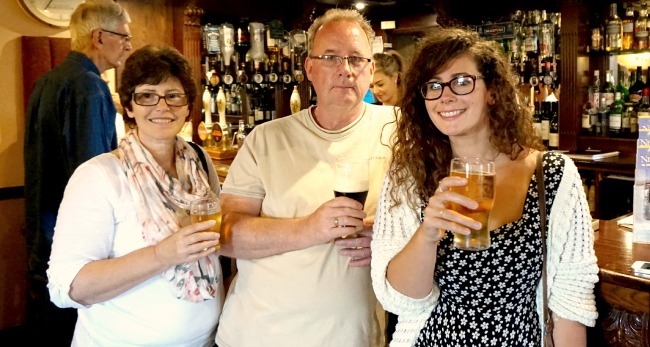 “Being from Cottingham in Yorkshire, a trip to The New Inn and Cropton Brewery in North Yorkshire was the perfect family day out when I went back up north for the weekend. The Cropton brewery is a proper Yorkshire company, with gorgeous buildings and idyllic surroundings. 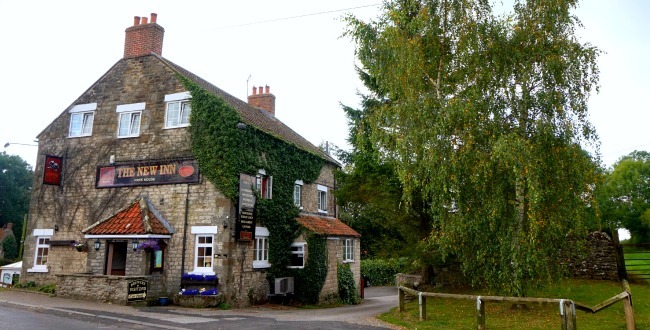 The pub is very traditional, so it really sets the scene for the locally brewed ales and beers. We took an afternoon tour, so we started with a hearty lunch in The New Inn. Although the pub is known for it’s beer, the menu had loads to choose from – I, of course, chose the steak which caused a bit of food envy at the table and rightly so, it was totally delicious. After lunch, it was time for the tour. Carl, the tour guide, gave us a warm welcome – he’s a total character who put everyone at ease with jokes and stories from around the brewery. We learnt all about the world of micro brewers, from the difference between male and female hops that create the essence of the beer, to the banter and shenanigans that go on out of hours that can result in experimentations and the creation of new ales. At the end of the tour we were given tokens to use at the bar – we could each pick either two half pints or one full pint of a beer of our choice. The brewery have their own special pint glasses which say ‘Sup Up’ on the side and, as you drink to the end of the glass, it says ‘Get T’ Bar’ on the bottom. They were so funny and I really wanted to take one home! Carl stayed around to have a drink and a chat with us and it was so nice to just sit back and relax with a pint! The atmosphere was so chilled out and welcoming, we chatted to the bar staff and felt right at home! 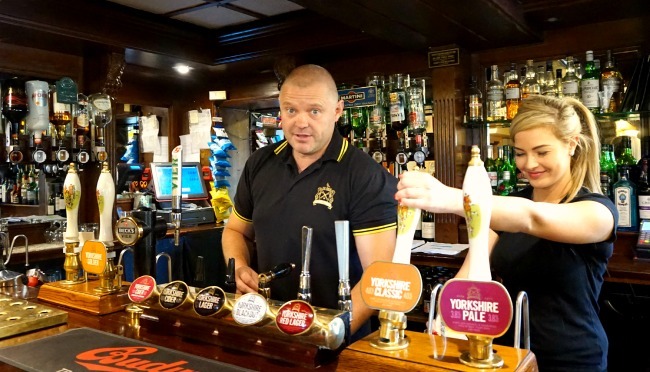 Are you a fan of real ale?